Early Childhood is a pivotal time in the life. Recent research has begun to comment on the massive significance of the first 3 to 5 years of life stating that what happens here can and will determine the trajectory of the rest of life. In Early Childhood therapy, a Child-Centered specialization, we seek to evaluate and support the building blocks being laid in the formation of your child’s life. In this we seek to support healthy and whole-hearted development, teaching, guiding, and helping to heal. 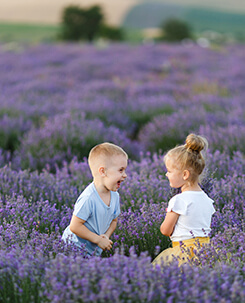 Early Childhood therapy and intervention runs in the same family as Child-Centered therapy and Play therapy yet if offers a unique developmental approach that also include a significant amount of parent coaching and education to help support the overall process. A primary goal here is to make the primary ‘attachment’ figures, you, the main source of love, support, and guidance, so that your child will know beyond a shadow of a doubt despite whatever the odds or circumstance, that love is real and life something full of hope and wonder. By their very nature, children wear their emotions on their sleeves. And often their expressions and struggles are intense and complex. Kids speak a different language than adults: play and metaphor are basic to a child’s expression and a vital component to child-centered therapy. Through play, children safely express the events that have occurred in their life in order to make sense of those life events. In many ways, what happens in childhood shapes our entire lifes. And thus, play therapy is an instrumental tool in reshaping a child’s experience to something more true and healthy. If you have questions about counselor or play therapy, give us a call at 303-429-5099 or click the button below. We want to talk to you about your situation and see if your needs fit the focus of one of our contract counselors.